I found more expired parking coupons. The current coupons have changed colours. They are now blue and they have a validity of 6 years. long time not see Keropok. parking can be very expensive these days, don't you think so? can exchange with HDB for new ones. No questions asked. This one for Malaysian cars or Singaporean cars? 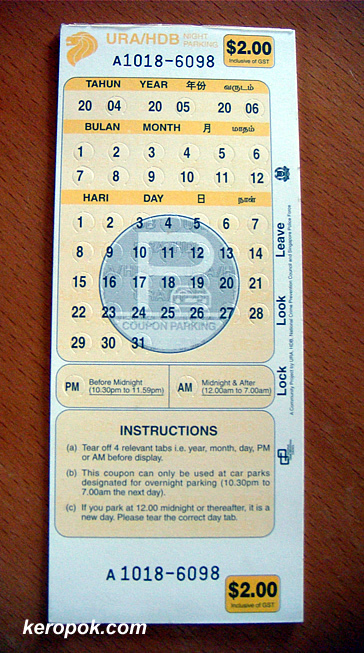 Singaporean cars have IU can deducted from CashCard but not Malaysian cars which need to use manually.